Thank you, Ben for sharing your project! And we still have just a few more of those eye-killing LEDs in the shop. 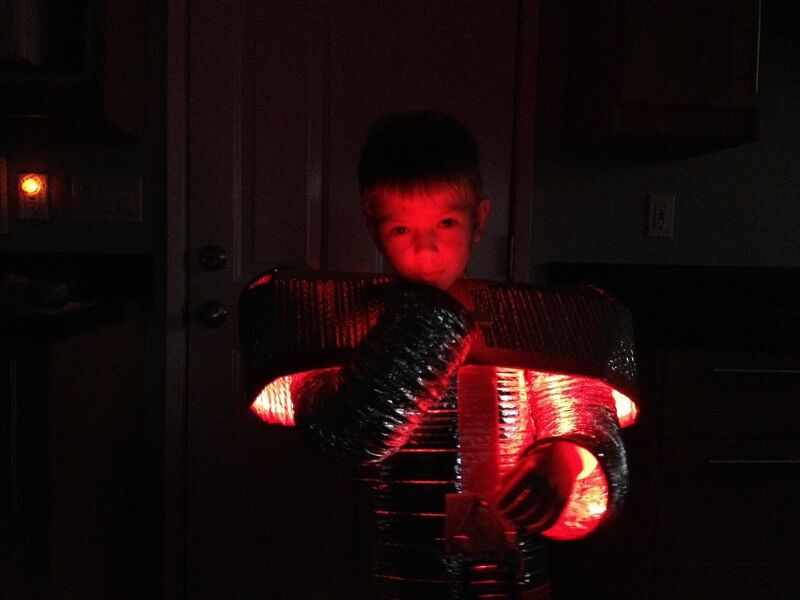 This entry was posted in Costumes, EMSL Projects and tagged costume, LEDs. Bookmark the Permalink. 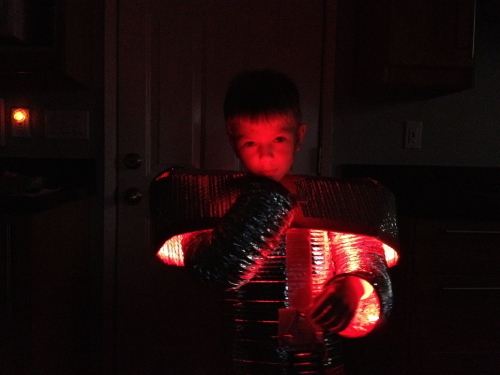 Here’s another robot costume. http://www.youtube.com/watch?v=dM-UUkl8TR0 I think it’s really funny… I don’t know how they did it with a straight face.